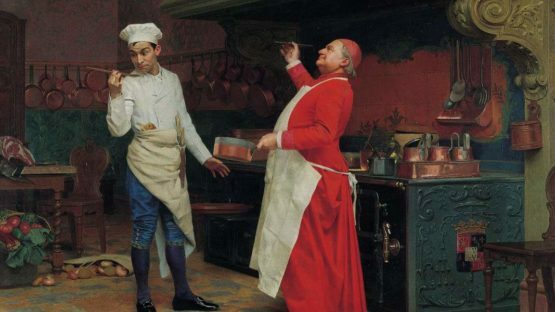 Jehan Georges Vibert or Jean Georges Vibert was a French academic painter born in 1840. Interested in painting, the artist entered the studio of Félix-Joseph Barrias and eventually the École des Beaux-Arts when he was sixteen. He remained at the École for six years under the instruction of historic painter François-Edouard Picot.